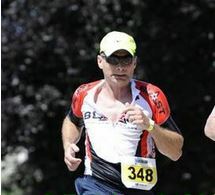 My training with Blast made it possible for me to complete this Sprint Triathlon. The encouragement of Coach K and Coach Heather is just outstanding, they truly believe in Blast tagline, “anything is possible”. I have always been a runner, but would have never thought that I would complete any type of triathlon, but the entire group encouraged me to sign up for a race. Blast is a friendly and encouraging environment that gives athletes the proper tools to complete a triathlon. After my first Triathlon I must admit that I am hooked! I hope I have many more races left in me. The exciting part is that I really do not know where this will lead, but what I do know is that this athletic, active journey will be supported by all at Blast! Thanks Glenn for sharing your experience! We’re so proud of you and can’t wait to see what’s next for you on your triathlon journey!